I have become a raving fan of books by Lorna Seilstad. She writes about women who are high achievers but are also quirky and fun. 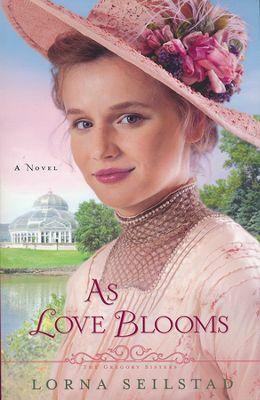 I especially enjoyed the personality of Tessa who is the main character in As Love Blooms. She is talented in her own right but is willing to share her life and dream as a part of a team. I have read many of Seilstad’s books and As Loom Blooms is as wonderful as her prior titles. This novel is book three in Seilstad’s The Gregory Sisters series. I love when I can follow a story line and a family through a series of books, but by no means do you need to have read the first two in order to enjoy this book. As Love Blooms easily stands alone. However, if you have read the prior books, it is delightful to see old friends further down the road. One of the best things about this book and Seilstad’s other titles, is that you can share them with whomever you please. They are appropriate for young and old. Her romance is subtle but believable. If I had one wish, it would be for more page time between Tessa and her love interest, Reese. I say this because my favorite pages were about the relationship shared between these two characters! I was given a complimentary copy of this book by its publisher in exchange for an honest review. I have not been compensated an all opinions are my own. While Love Stirs written by Lorna Seilstad is Book #2 in her Gregory Sisters Series. It is a delightful read that I would give a two cups of coffee rating! That is, I will need to two cups of coffee today because I stayed up way past bed time to finish it! Lorna Seilstad does a great job of writing a series involving the same characters and allowing each book to stand alone. Seilstad does allude to details from Book #1, When Love Calls, but in no way did I feel like I was lost not having read it. In this new title, Charlotte Gregory is looking to secure a position after graduating from Fannie Farmer’s School of Cookery. She is an excellent cook, but in 1910 women were not welcome in professional chefs kitchens. Charlotte is passionate and intelligent which always makes for a likeable heroine. In the midst of trying to pave the way for herself, she meets not one but two possible suitors. Dr. Brooks, the attractive but controlling physician, and Lewis the young talented vocalist. While Love Stirs is the second book of Seilstad’s I have had the pleasure of reading. I also enjoyed Making Waves which released several years ago. 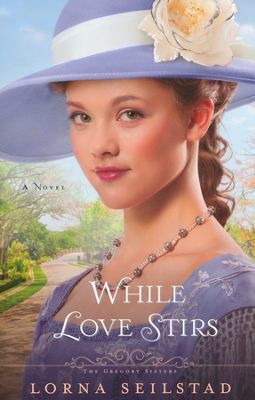 If you enjoy lighthearted romantic historical fiction, this book is for you. It would definitely make for a great vacation read as it does not have an overcomplicated plot. I was given a complimentary copy of this book by its publisher and NetGalley in exchange for an honest review. I have not been compensated and all opinions are my own.